Hey guys! Guess what? You know the company that Kanani listed about, Ahh Products? And the contest that they were having? Well, we won it! Enjoy these pictures Human took of all of us dolls in the bean bag chair! P.S. Marie-Grace IS missing from the pictures. Human had a picture of her, but for some reason it isn't showing up on the photos. We'll try to add it when we find/take another picture. Hey Kanani here! This is just a quick post to announce the winner of the AG shoes! Congratulations to…….…………………………………………….………………………………….…………………… OK, I got tired typing all of that. Congratulations to Amaya!! She has a blog, http://funwithagfan.blogspot.com. Enjoy the shoes! Hey guys! Don't forget to enter our giveaway! It ends Saturday so get your entries in! And guess what? Human won the bean bag chair from Ahh Products! When it arrives we will definitely take pictures and do a post about it. Oh! 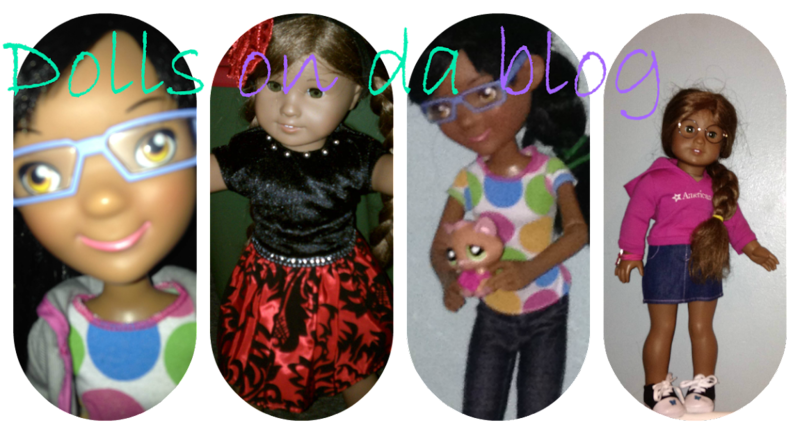 And if some of you are wondering, us dolls here at Dollsondablog will be going to Camp Doll Diaries on the 8th!! We will be making a photostory series with it. Human still has school right now, but she get out on the 7th. Hope you liked the updates!